Lebanon's health ministry said five people have been killed and 20 injured after a blast shook southern Beirut, a stronghold of Hezbollah. The deadly blast that ripped through the Haret Hreik district of southern Beirut this afternoon appeared to be caused by a car bomb, security officials said. At least five people have been killed and 20 injured in the attack, which took place in an areas that is a stronghold of the Hezbollah group. Lebanon has been hit by a wave of bombings in recent months as the civil war in Syria increasingly spills over the border. A powerful blast hit southern Beirut this afternoon, killing five people according to the health ministry and wounding at least 20. The blast sent a column of smoke into the sky and destroyed the front of many nearby buildings. The city has been recently hit by a number of attacks recently, including one last week which killed a former minister. A powerful explosion in Shi'ite group Hezbollah's southern Beirut stronghold killed five people on sending a column of smoke into the sky, a witness said. Television footage showed the twisted and blackened remains of several cars being doused with hoses by emergency services. The deadly explosion in southern Beirut took place "meters away" from Hezbollah's political council, local news station LBC International said. 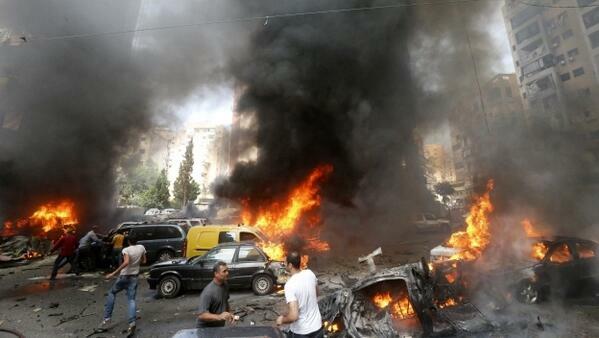 Lebanon's health ministry said five people have been killed and 20 injured in Beirut. 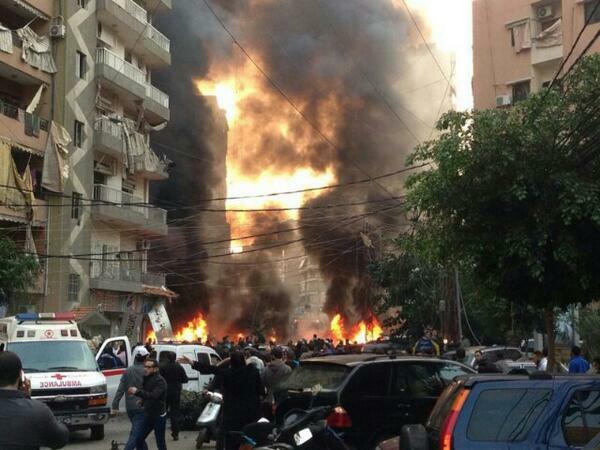 Witnesses said that two bodies were found at the scene of an explosion in Beirut, and that six people were wounded. 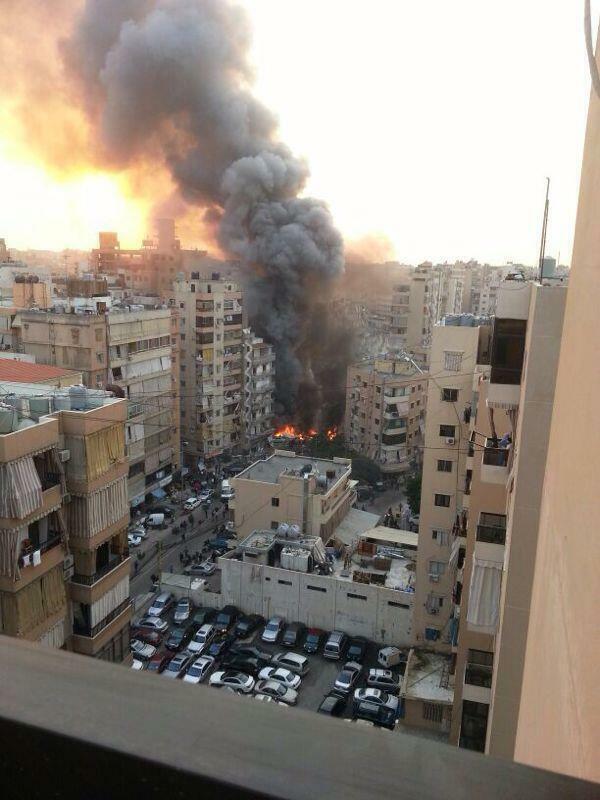 A powerful explosion has been heard in southern Beirut and smoke was seen rising from the area, residents said. There was no immediate word on damage or casualties caused by the blast in the Lebanese capital, which has been hit by a series of bombs in recent months.